Mr Graham Walker part of the legendary Grumbleweeds. Starring Robin Colvill, The Krankies, Bernie Clifton, Sam Kane, Brian Conley, Chico, Andy Monk as Simon Cowell, Explosive Productions Ltd, Zooka Magic and Jem Frazer. Grumbleweeds show and documentary Redtick films are proud to have been contracted to film Once in a lifetime a documentary about Graham Walker one half of the legendary Grumbleweeds. 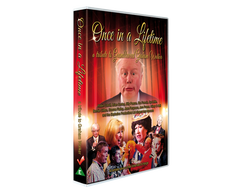 This is a double disk DVD feature the life and times of Graham plus highlights of the 3 hour show performed at The Theatre Royal Nottingham in August 2013. 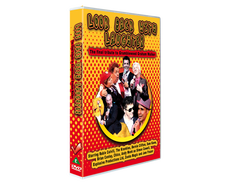 The show includes Brian Conely, Stu Francis, Bernie Clifton, Billy Pearce, Robin Colvil, Stavros Flately, Shiela Ferguson, Gem Frazer, Syd Little, Hilary O'Neal.